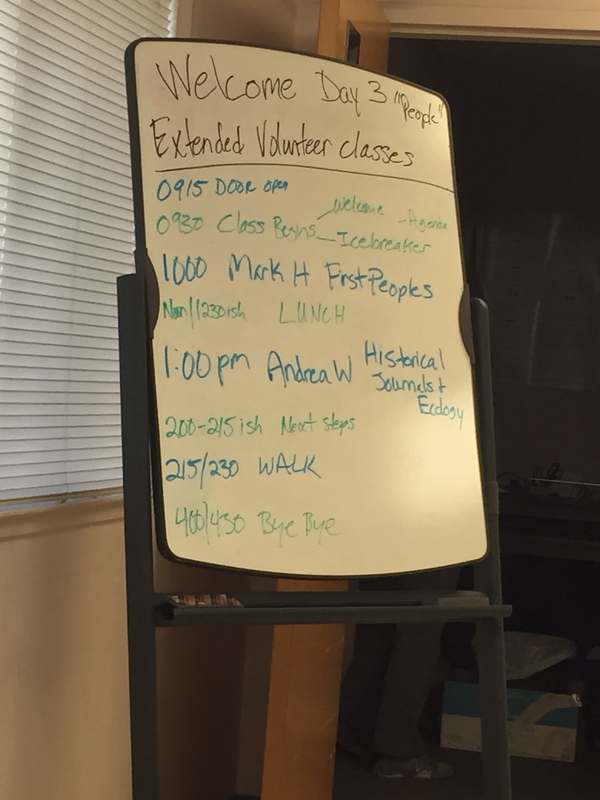 This past Saturday the Elkhorn Slough held its final lectures for all the volunteer naturalists. The first lecture called “First Peoples” by Mark Hylkema focused on the human presence in the Elkhorn Slough and the surrounding areas. Mark Hylkema was a riveting and passionate lecturer who made his research as an archeologist come alive. The main points I got from his lecture is that the people in the area lived in a highly complex society that had different social classes, currency, own language, hunting skills, trade, political ties, and managed their environment in order to survive. Finally, I learned that Native Americans are not relics of the past but are numerous and live among us, therefore, it is necessary to be conscientious of what we say as naturalists. 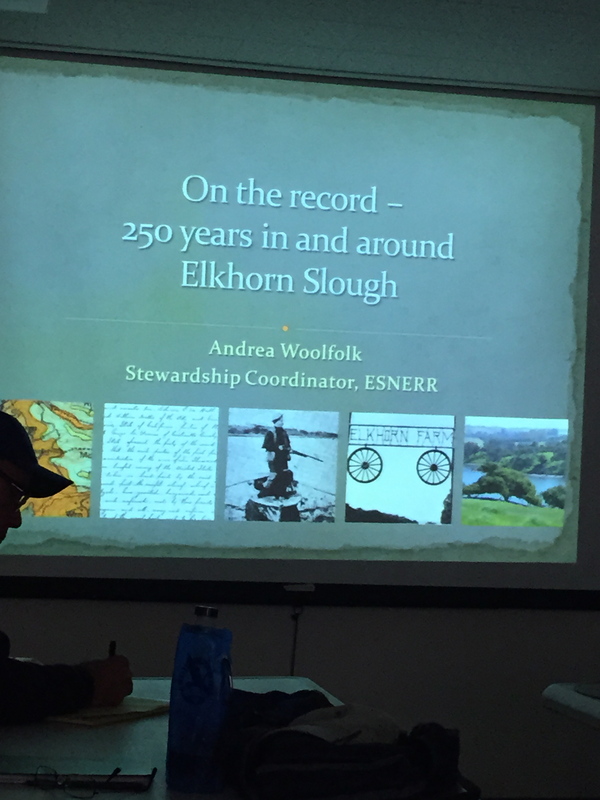 The second lecture was “Land Through Time” with Andrea Woolfolk, which focused on the historical journals and historical land of Elkhorn Slough and the coast of California. Andrea Woolfolk took us through an imaginary journey using the journals of a priest who was part of a group searching for Monterey Bay on behalf of the Spanish empire in order to build a port. Throughout the trip the journals described the landscape, plants, and animals common to the area. At the end of the day Andrea Woolfolk took us to Elkhorn Slough’s historical trail which was absolutely beautiful.